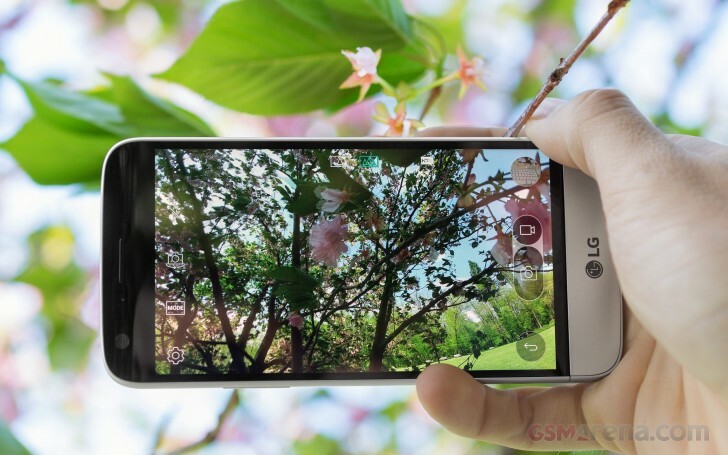 The first extension is the LG Cam Plus camera grip. It adds extra 1,200mAh of battery capacity, and hardware camera controls: shutter key, a camcorder button, camera on/off button and a zoom dial. Snapping the the module is very easy, but you have to detach and reattach your original battery, which requires a restart of the phone. Luckily the G5 is one of the fastest booting phones around so at least it doesn't take too much time. The module, being a replacement for the bottom of your phone, also houses a USB Type-C port, a microphone, a loudspeaker, and some antennas. It works as expected - the slider at the bottom fires up the camera, while the two-step camera shutter focuses and takes pictures. The small key next to the shutter starts up video recording immediately. The added grip at the back is great and helps you feel the LG G5 secure in hand when shooting. Using the zoom dial while in photo mode is quite a unique experience. 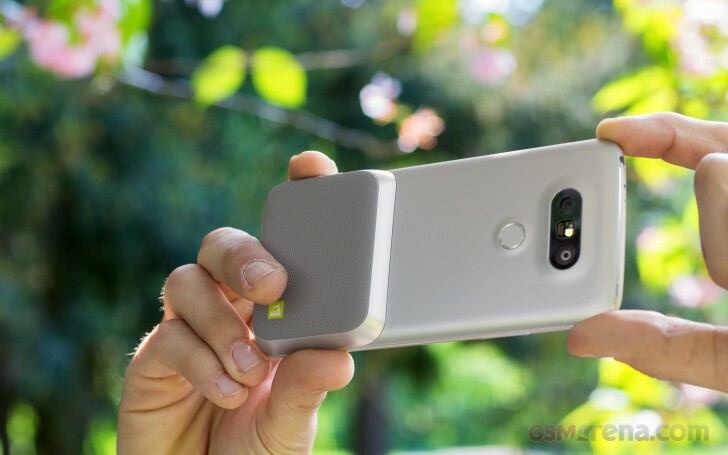 Thanks to its dual camera setup the LG G5 offers a unique hybrid zoom - starting with digital zoom from the wide camera and switching to the normal one when you reach that point. After that you are again left with regular digital zoom, and you should better steer clear of that.. The zoom dial is quite loose, doesn't provide any tactile feedback, which isn't working in its favor. We've seen better and we hoped LG will fix this in the retail units, but unfortunately it didn't. While you are using the LG Cam Plus, the Quick Charge option is disabled as the charge goes through the module's integrated battery. The charging is the opposite of quick - it can pass 5V/0.5A or 9V/0.5A current towards the G5's own battery. 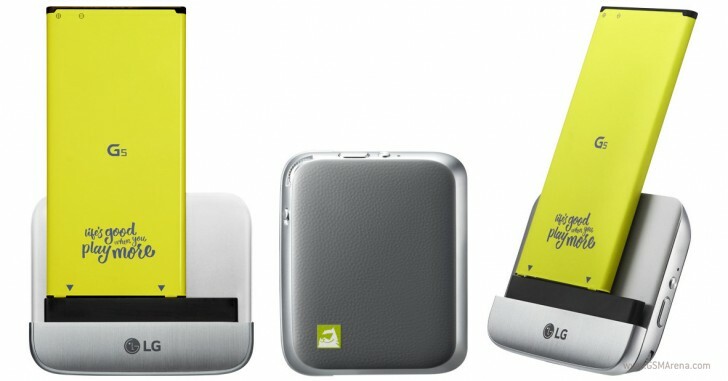 The good news is the LG Cam Plus charges your battery for about 5 minutes upon clicking any of its button. It doesn't act as a power bank; it just sends a small charge to your main battery in order to restore what was taken while you were shooting images/videos. The bad news is - if you don't have enough battery for shooting, the extra 1,200 mAh will barely help you keep the phone alive, let alone take more than few shots. 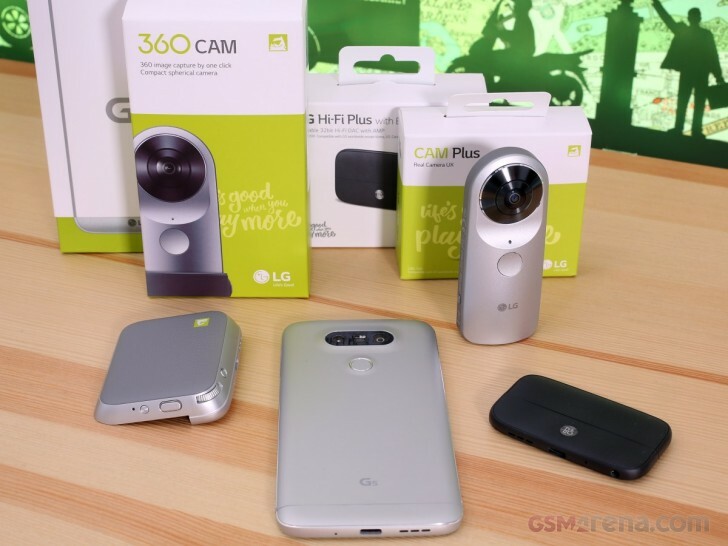 The LG Cam Plus wasn't designed to stay long in your LG G5 and we recommend using it only when needed. It extends your power autonomy and boosts the grip, but compromises charging and the design. The keen photographers will appreciate the extra grip and controls, but we have to disappoint those of you hoping to use it as a power bank - it doesn't work that way and has a rather damaging effect on pocketability.